The economic benefits of the now-approved LNG Canada liquefied natural gas project are said to be massive — but environmental advocates and experts are concerned the climate change impacts could be just as large. The economic benefits of the now-approved LNG Canada liquefied natural gas project in northern B.C. are said to be massive, but environmental advocates and experts are concerned the climate change impacts could be just as large. "How are we going to meet our legislated greenhouse gas targets when this substantial increase in emissions is happening?" Ian Bruce, a director with the David Suzuki Foundation, asked Tuesday. "We don't have a credible climate change strategy that's been released by the province…. Moving forward at this stage is likely very irresponsible." 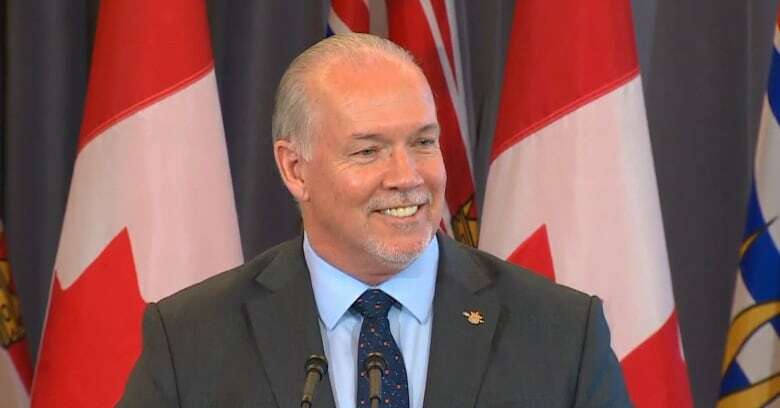 The provincial government maintains that B.C. will meet its climate change targets, however, even with this project going ahead, and there will be a climate plan released soon. 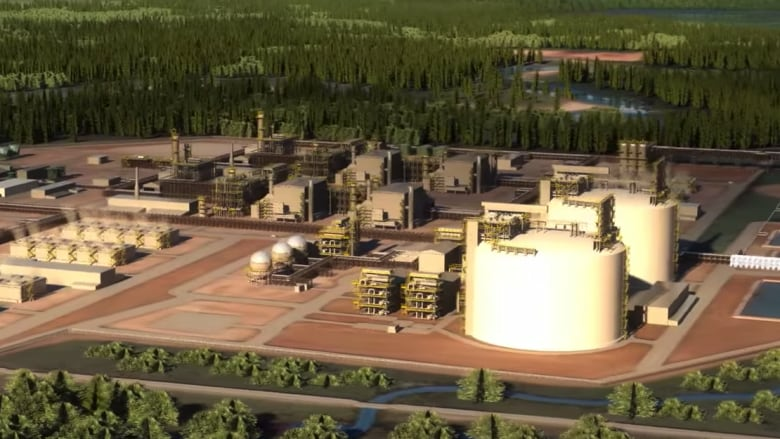 The province says the estimated carbon output of the LNG Canada project will be 3.45 megatonnes per year. However, a Ministry of Environment spokesperson clarified that this only accounts for Phase 1 of the project, with two production facilities called "trains." Phase 2 would include two additional trains. The spokesperson was unable to provide emission information for the project at that size. But Bruce and others estimated that at full size, the facility could increase greenhouse gas emissions by eight to nine megatonnes. "That's more than double all the emissions from all the cars and trucks in Metro Vancouver," he said. "B.C. is going to need the best, most aggressive, world-class climate plan to make up for this additional increase." The province has committed to reducing greenhouse gases by 40 per cent by 2030 and 80 per cent by 2050. Karen Tam Wu, a managing director with the Pembina Institute environmental think-tank, said that means B.C. will only be able to emit a total of 13 megatonnes of greenhouse gases by mid-century. "That just means we're going to need to step up and accelerate the rate at which we're reducing carbon from other parts of our economy in B.C.," Wu told The Early Edition host Stephen Quinn. Getting there might be possible, she said, if industry electrifies, the carbon tax is ramped up, and if buildings are rapidly retrofitted to reduce their carbon footprints. But Marc Lee, a senior economist with the Canadian Centre for Policy Alternatives, said LNG Canada is completely incompatible with meeting the goals. "This project is a carbon bomb," Lee told BC Today host Michelle Eliot. "We don't have the luxury of indulging in building big, new, fossil fuel megaprojects." The business community is supportive of carbon reduction, according to Dan Baxter, policy director of the B.C. Chamber of Commerce — but he said that transition will take decades. "At the end of the day, B.C., we are a small pin drop in terms of our contribution to global climate change," Baxter said, adding that LNG Canada's exports will help other countries reduce their need for coal and oil. B.C. Energy Minister Michelle Mungall told On The Coast host Gloria Macarenko that the project will fit within B.C. 's carbon reduction goals, which will be released soon. She touted the government's work on building retrofits, support for zero-emission vehicles and regulations on the LNG sector. Transportation, she said, is the biggest contributor of carbon pollution in the province. Still, Kathryn Harrison, a University of British Columbia political science professor, was skeptical. She says B.C. will likely need to cut all other emissions in half to meet its 2030 target. "It's hard for me to even imagine," Harrison said.